So, I've had quite a busy few days and have barely touched a computer. Busy with what, you might ask. Well, I've been buried in a book that I started on a few weekends ago. It's call The Name of the Wind by Patrick Rothfuss and it is excellent. It's not entirely new, but I haven't been caught up reading a book like this in quite a while, so I really enjoyed immersing myself in another world without being glued to a TV screen as usual. I'm about to embark on a new adventure as I've just started the second book in the series and can't wait to get into it. 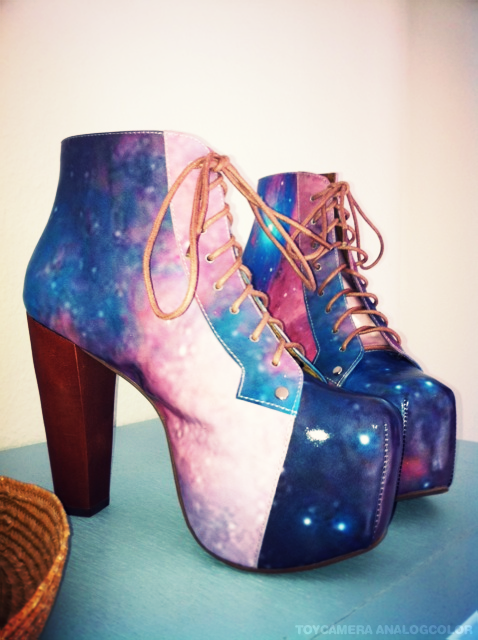 Also, my Jeffrey Campbell Cosmic Litas arrived yesterday and they fit perfectly. They are damn hard to walk in, but they are so gorgeous that I just want them on my shelf looking pretty for now. They are works of art and I can't wait to wear them.